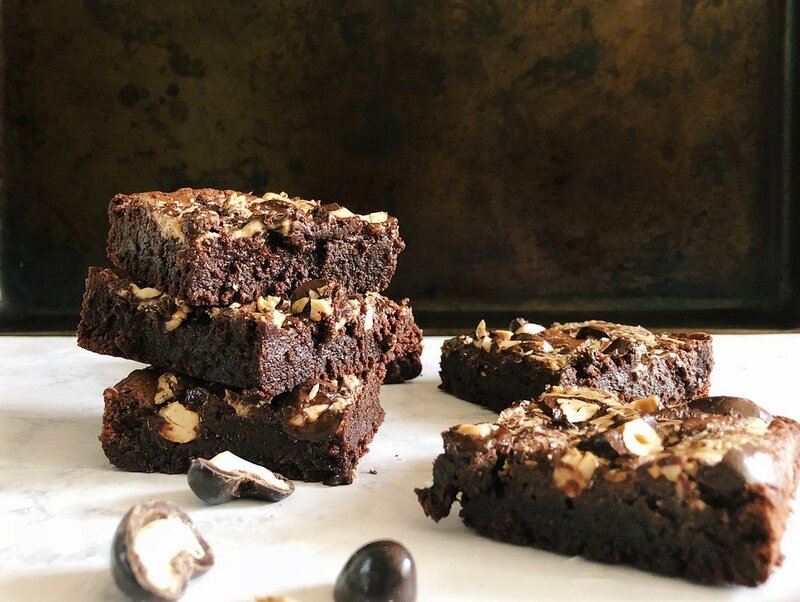 Gluten-Free Dark Chocolate Double Cashew Brownies, say that five times fast. I got a little crazy with these guys, and well, it totally worked. And they are like, kinda healthy, cause #glutenfree #dairyfree #fitfam #absaremadeinthekitchen. No flour means they are seriously fudgey. And the double cashew comes from swirling my favorite cashew butter through the batter and then topping them with my favorite bulk bin item, dark chocolate covered cashews. Now let's just cut to the chase. Preheat your oven to 350 degrees. Generously spray a 8x8" baking dish with cooking spray. Whisk cornstarch and cocoa powder in a medium bowl until no lumps remain. Heat chocolate, 3 Tbsp. coconut oil, and 1 Tbsp. cashew butter in a small saucepan over low, stirring, until melted and smooth. Using an electric mixer on medium-high speed, beat the eggs, granulated sugar, and brown sugar in a large bowl until light, smooth, about 3–4 minutes. Beat in salt and vanilla to combine. Then pour in melted chocolate mixture, and beat to combine. Scrape sides as needed. Beat in cornstarch mixture, then increase speed to medium-high and beat until mixture is thick and holds its shape, about 30 seconds. Melt 1 Tbsp. coconut oil and remaining 3 Tbsp. cashew butter in a small microwave safe bowl for 30 seconds. Scrape batter into your prepared baking dish and smooth the top. Working quickly becasue the coconut oil in this recipe can start to re-harden, drop melted cashew butter mixture in 5 spots and swirl into top of batter with a skewer or toothpick. 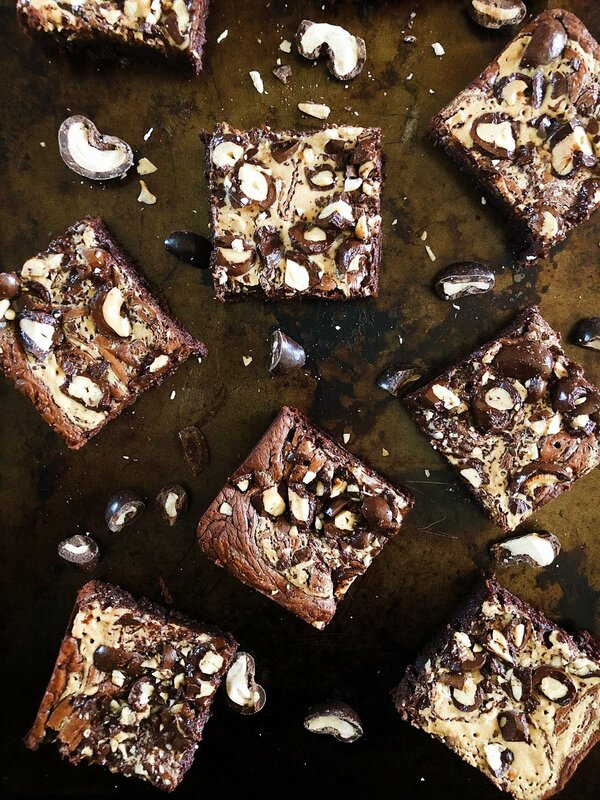 Sprinkle chopped dark chocolate cashews over the top. Bake brownies for 21-24 minutes until tester inserted into the center comes out with a few moist spots. Being careful not to insert tester into the melted chocolate covered cashew, but into the actual brownie. For an accurate read. Store in an airtight container or covered in plastic wrap for up to 3 days. As if they couldn't get more perfect, well they just did. Perfect CCCs are upgraded and this is now THE only CCC recipe you need. They are my go to for any event, pot luck, or those times when I just have an itch for baking. The recipe is very similar to the original Perfect CCCs, with a few extra additions to give them a sweet and salty touch. I have added olive oil in the batter and flakey sea salt on top. My secret ingredient is adding a chopped up Hershey's bar to the mix. 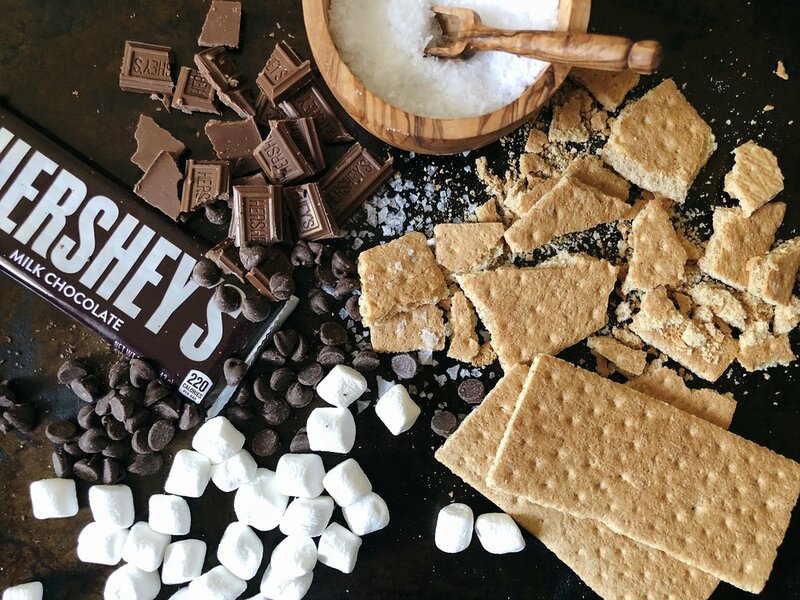 Try not to omit the Hershey's bar if you can. It's worth the trip to the gas station to pick one up. The combo of the semi-sweet chips that stay firm through baking mixed with the melty milk chocolate bar gives it the edge they needed! I have found myself chopping up leftover Valentine hearts or Easter chocolate bunnies in place of the Hershey's bar. A great way to use up leftover candy. Halloween, I'm waiting for you.... I have also been known to add festive sprinkles to fit the occasion. Muli-colored sprinkles for Cinco de Mayo and birthdays, red, white and blue for the 4th! In a medium bowl, whisk together the flour, baking powder, baking soda, and salt. Set aside. In a large bowl mix both sugars. 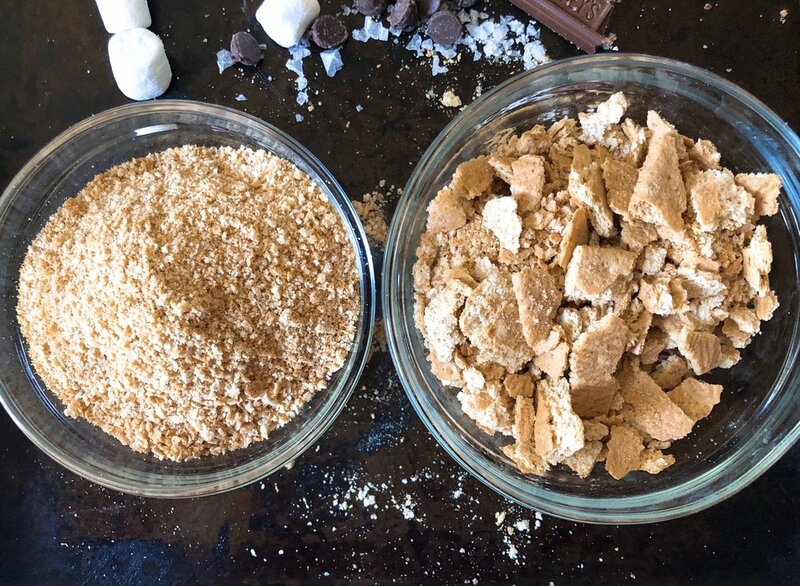 *You can use light or dark brown sugar. I like a dark cookie so I prefer dark brown sugar, but I switch off depending on what I have on hand. Pour the melted butter and olive oil into the bowl with the sugars and whisk until smooth. Add the eggs, one at a time, whisking to combine. Stir in the vanilla. Slowly add the dry ingredients into the butter sugar mixture. I found a wooden spoon to be the easiest for this job. Once the dough has almost come together, but still a little floury, add the chocolate chips and Hershey's bar. Form 2-3 tablespoon size balls. I used a standard size cookie scoop, but overload the scoop getting a larger ball of dough. 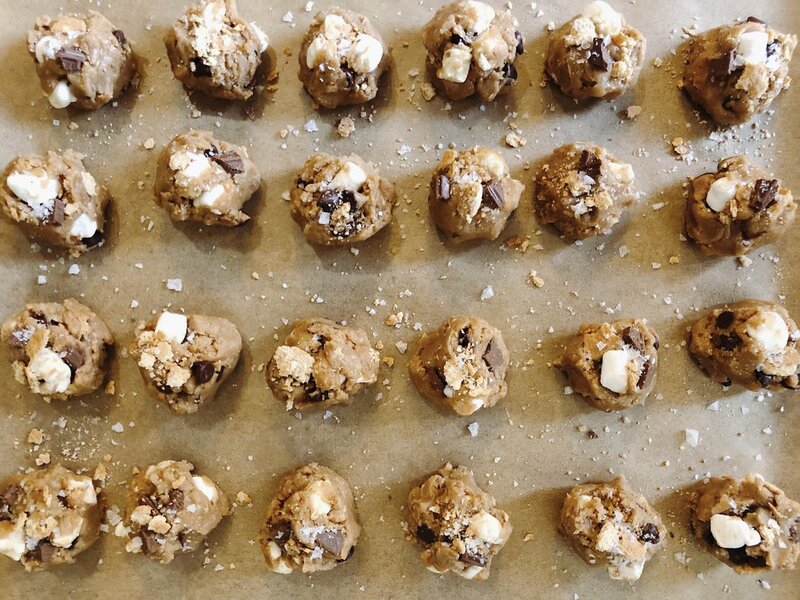 Place them on a cookie sheet about 2 inches apart. Do not overcrowd the pans. I got 8 balls of dough on a pan, at most. Sprinkle the top of each cookie with flaky Maldon salt. 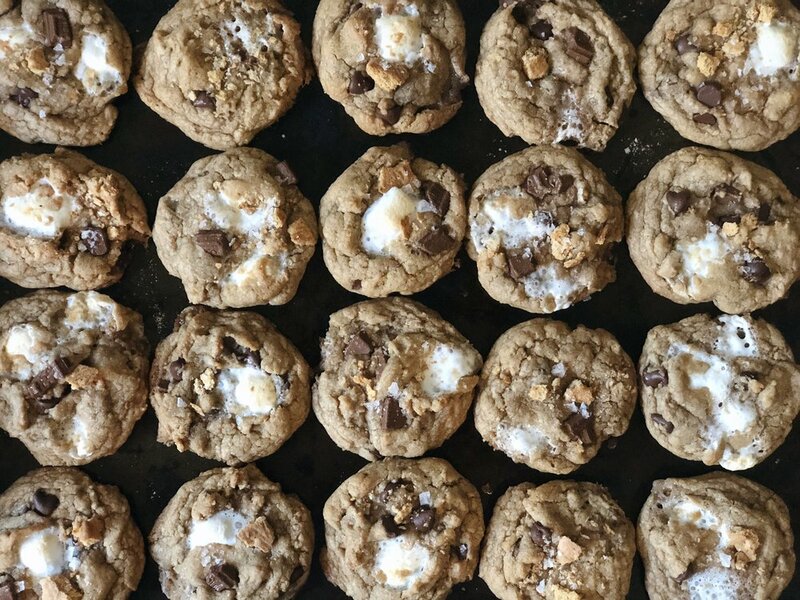 I firmly believe this is the best chocolate chip cookie recipe. It's easily become my most popular recipe on the site. Thanks to everyone who has made their own batch of Perfect CCCs. But now that I've upgraded the recipe, it's time you whip up a batch for yourself!